The daily Hamilton County overdose surveillance reports for March 16 – 18 have indicated a continued spike in activity. The daily ED visit and 911 dispatch counts each remain over double the previous week average for today’s report. Furthermore, as of 1:00 am March 18, public health surveillance of emergency department (ED) visits for Hamilton County observed that drug-related patient encounters again surpassed the expected visit count threshold. 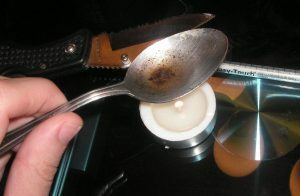 A total of 36 drug-related ED visits among Hamilton County residents occurred during the previous 24 hour period. The multiple anomalies that have occurred since March 16 further indicate a sustained increase in the activity throughout this period. carrying naloxone and being prepared to use multiple doses when necessary.